Intending on going to another dessert bar but arriving there only to find a minimum 45 minute wait, the girls and I decided our late night dessert stop would be at Copenhagen in Henley Beach. Don't those descriptions make you just want to drive to Copenhagen now and try everything for yourself? Even typing them up is making me salivate a little! 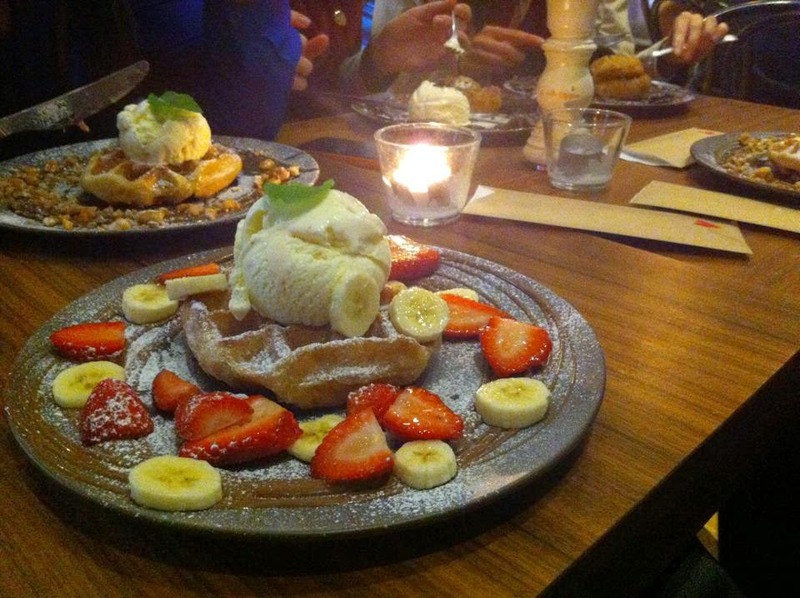 Copenhagen serves my favourite waffles in Adelaide and I definitely recommend it. They also have delicious ice cream which everyone will enjoy on a sunny day at the beach, or these desserts which are really perfect for an evening/late night treat. Everything is also quite affordable.